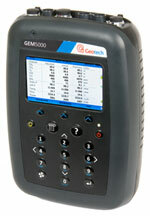 Geotech is the market-leading manufacturer and supplier of portable and fixed landfill gas and biogas analysers. 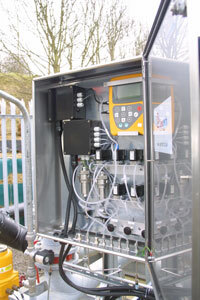 Gas analysis is only part of a full range of environmental monitoring equipment that Geotech can supply, including QED AP pumps for product removal and level control. Around the world Geotech gas analysers are rapidly becoming even more important with growing focus on renewable energy from gas produced in anaerobic digestion and landfill gas. Geotech manufacture equipment in the UK to the highest quality, working to a wide range of industry standards so customers can expect top reliability and complete peace of mind. Current standards we have achieved and have led the market in are: ISO17025 Calibration, ATEX certification on gas portable analysers, with MCERTS applied for on the new GA5000, GEM5000 and Biogas 5000. The portable biogas analyser for accurate gas monitoring within biogas applications Biogas 5000 is easy to use, calibrate and configure and enables consistent collection of data for improved analysis and accurate reporting, whilst helping to check the digester process is running efficiently. 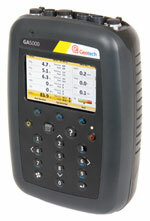 Fixed continuous biogas and landfill gas analyser GA3000 for CH4, CO2, O2 and H2S(GA3K1) builds on field-proven, robust gas analysis technology to offer cost effective online monitoring with local data outputs. 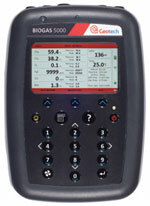 Suitable for use as a fixed gas analyser in biogas and landfill applications. 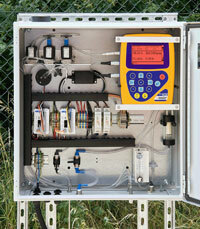 Accu-Flo Thermal Mass Flow Meter for landfill gas and biogas flow measurement. With an innovative edge, the Landtec Accu-Flo meter highlights a distinctive feature:- a zero calibration self check. The self check allows the user to verify that their Landtec Accu-Flo meter has not shifted, drifted or deviated from its original NIST-traceable factory calibration value. This ability makes the Accu-Flo meter unique, extremely useful on gas-to-energy projects, environmental compliance and essential for the carbon credit market.